How to Stay Motivated and Positive in Your IIT-JEE Preparation? 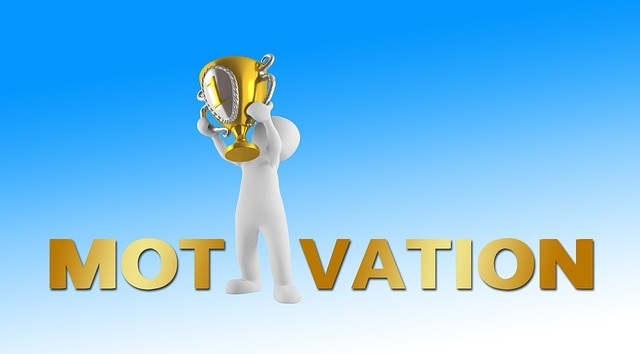 How to Stay Motivated and Positive in Your IIT-JEE Preparation? How to Stay Motivated and Positive in Your IIT-JEE Preparation? In your IIT-JEE preparation, there will be times when you’ll feel low and have negative feelings of not clearing the exam. During these tough times, you need to stay strong and motivated to achieve your IIT dream. Know the purpose of study. Think about all the bad results that will happen if you don’t study. Break your dream into small achievable tasks. Write, read and remind yourself about your goals. Get in the habit of studying. Students who have a purpose for doing study feel motivated to do it. Students who lack a purpose, but study only because they have to do it, feel bored and resentful. Students often hurry to finish homework or assignment without learning anything. If you follow that purpose, your brain will notice less, understand less, and remember less. When you do homework or get a specific assignment, try to feel curious about what you’ll learn from it. Figure out important questions and set the goal to find the answers. Students who believe that they can succeed are likely to achieve their goal. Students who expect to fail in exam want to avoid studying for it. That means that when you believe that you can succeed in understanding, remembering, and solving problems, you will be willing to study. Learn how to learn. When you know you can learn, then you can tackle hard subjects, tough topics and complex problems. You will know that even though you cannot understand them at first, your repeated efforts will succeed. Set reasonable standards to evaluate yourself with. Expecting that you’ll be able to read a topic just once and then recall it at will. No! Memory requires deliberate study; skills require much practice. So keep in mind the facts about learning and study. Allow yourself to make normal mistakes. Then you will believe you can succeed with study and time. Think about the future. If you avoid your study one day, what is likely to happen? If you avoid it repeatedly, what may happen? Know that your decision now creates your future. You will live with it. When students think that time is short and that they might run out of time, they feel motivated to study. However, when they think they have plenty of time, they feel relaxed and unwilling to study which results in procrastination and backlogs. If you are overwhelmed by your JEE dream, focus on what you can do tomorrow, the coming week, then next week. Take small steps, celebrate your accomplishments and keep improving. Progress is the ultimate motivator. Every little progress will give you the motivation to keep moving and trust yourself to clear JEE. Success in JEE depends on staying motivated and work towards your goal for a long period of time. Remember what you’re aiming for, and also why you’re aiming for it. Write down what you want to achieve. Read it aloud to yourself, every morning and every night. Motivation takes effort. You have to remind yourself of what you are working toward and why. And writing it down and reading it every day will reinforce that desire deeper and deeper into your subconscious mind. Challenge your brain to study and practice that takes a lot of focus. Switch off your phone, get away from all distractions and work on your learning. You have to deeply immersed in your studies. In order to stay focused and motivated for long, to avoid burnout, you should know when to study and when to take rest. Getting in the habit of studying is what will keep you motivated over long period of time. The more you do, the better you get. The better you get, the more you do. Just keep going. The ability to study every day even when you are not motivated to learn is the most valuable trait you need to achieve your goal. If you are serious about clearing JEE, you have to go through a volume of study, put in your best effort and try over and over again. It’s the only way. Call to mind your deep positive goals. Think why you value them. Now think how study helps you reach them. 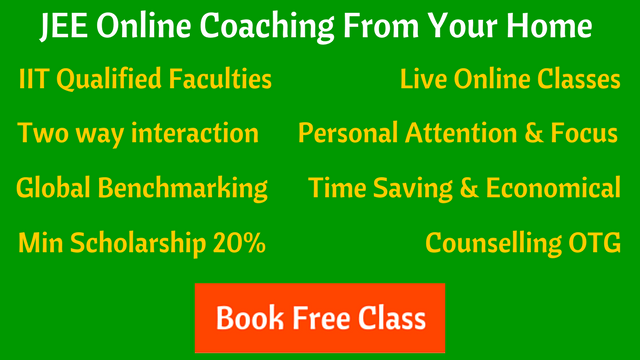 Next think how taking your classes helps attain your goals. Next think the awful thought of how you could hurt your deep goals if you give in to your negative feelings and skip studying. Finally, use this realization as your emotional energy to want to study. Decide to study. Stay in the group of positive people who motivates you. Whether it’s your friends, peers, parents and teachers, you need support from people around you.